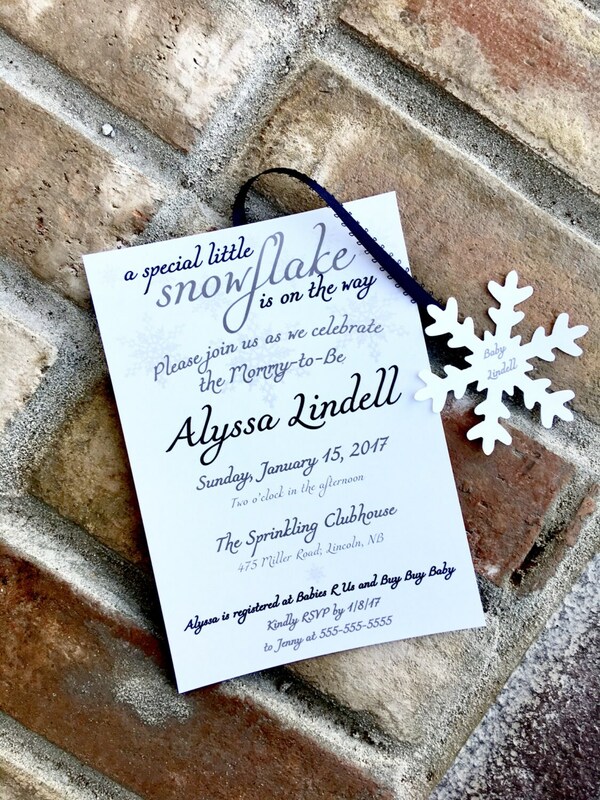 A special little snowflake is on the way baby Shower Invitations. COLOR CUSTOMIZABLE - See shop for other colors. If not listed, just specify in the note to seller section. I will send you a proof of your save the date card within 24-48 hours so you can add/edit anything you'd like. As soon as you approve of the proof, I will get started on your order. 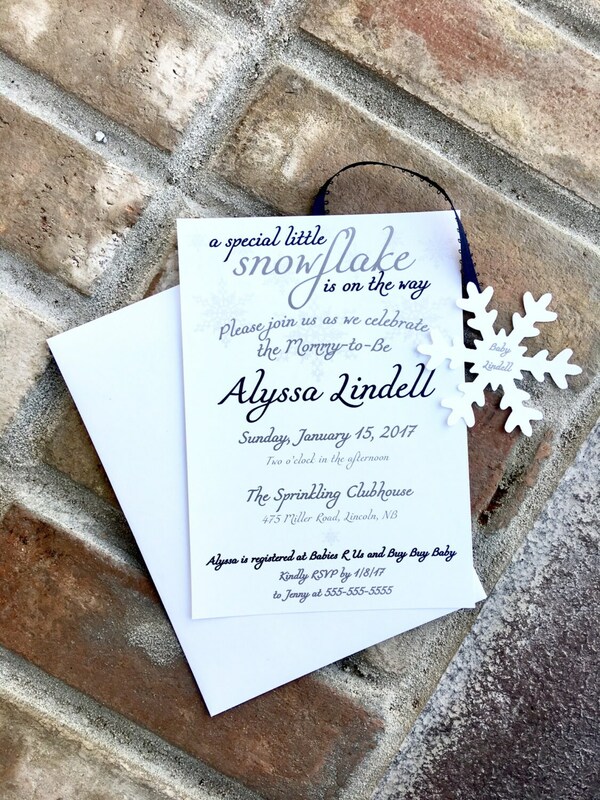 I am extremely easy to work with and will make sure you are 100% satisfied with your save the date cards!